Vintage Ceiling Fans are generally considered to be ceiling fans from the 1960s until the very early 1990s. The majority of these fans used stack motors, were made in America, and are generally better quality than fans made today. Ceiling fans were widely popular from the late 1800s until the 1950s (see Antique Ceiling Fans). When air conditioning became widely popular in the 1950s, ceiling fans fell out of style. Only Hunter continued making them. (Emerson only ceased production briefly and so it is widely assumed that they also continued making them. Other early overseas manufacturers may have continued production but their fans were not widely sold in the US.) 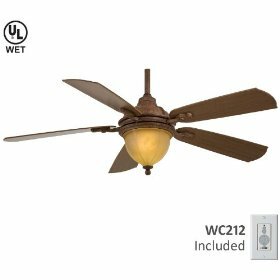 Emerson reintroduced it's ceiling fan line in the early 1970s as "Heat Fans" designed to reclaim lost heat from high (largely commercial) ceiling fans. A few other upstart companies introduced heat recovery fans such as Envirofan. Casablanca introduced fans as a decorative item in 1974. All these factors converged so that when energy conservation became an issue in the mid and late 1970s, the ceiling fan market exploded. By 1979 dozens of American factories started producing ceiling fans and by 1981 hundreds of companies started importing them. By the end of the 1980s, imports had overtaken the market and by the early 1990s, the majority of the American companies had either dissolved or shifted their manufacture to overseas. American made vintage fans usually all share similar characteristics: A stack type (18 pole) motor such as the Emerson K55 (GE and Universal brand motors were also popular, FASCO made their own motors) enclosed in a decorative plastic, cast zinc and/or stamped steel housing. The blades mount to the motor via a flywheel. Earlier fans, as well as most Emersons and FASCOs, used a cast metal flywheel, most fans used a rubber flywheel. Blades were either veneer or solid wood. Earlier fans were two speed, fans from the late 70s and early 80s used infinitely variable speed controls mounted below the motor. During the majority of the 1980s, 3 speed and electronically controlled (remotes, wall controls, computerized, etc.) fans became popular and made variable speed fans obsolete. Exceptions to this design include the Hunter original, and copies of it made by other companies. These fans used the same design as antique fans, with a cast iron housing and large stator. These fans often have non-sealed bearings and require oiling. Other fans use the stack type motor but do not include the decorative housing. These fans were usually designed for more commercial environments. Imported vintage fans use what's known as a spinner motor, in which the stator is internal and the rotor is external. The blades mount directly to the rotor via the blade brackets. Early spinner motors, and those of the best quality are made of cast iron. Others are made from cast zinc, aluminum, or stamped steel constructions. The earliest imported fans, as well as commercial models, did not have a decorative housing around the motor. As imported fans became more popular they started to mirror American designs and features. Vintage imported fans are very similar to imported fans of today, except they are often simpler in design and better quality in construction. 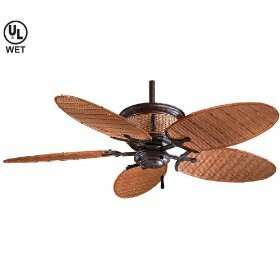 Vintage ceiling fans have become collectible, especially among the younger age bracket who grew up with them. There are several websites with forums and galleries. Ceiling Fans n More offers ToViewFans as a collection of vintage fans, as well as Tara Quest, our editor's personal interest.